So often when I travel, I never manage to get out beyond the conference room, the convention center or even the hotel. But on my recent trip to Philly, I was determined. I was going to see that big, big bell. And although it doesn’t look that large, brother it is HEAVY! Not just with history and significance but also pure, unadulterated poundage. 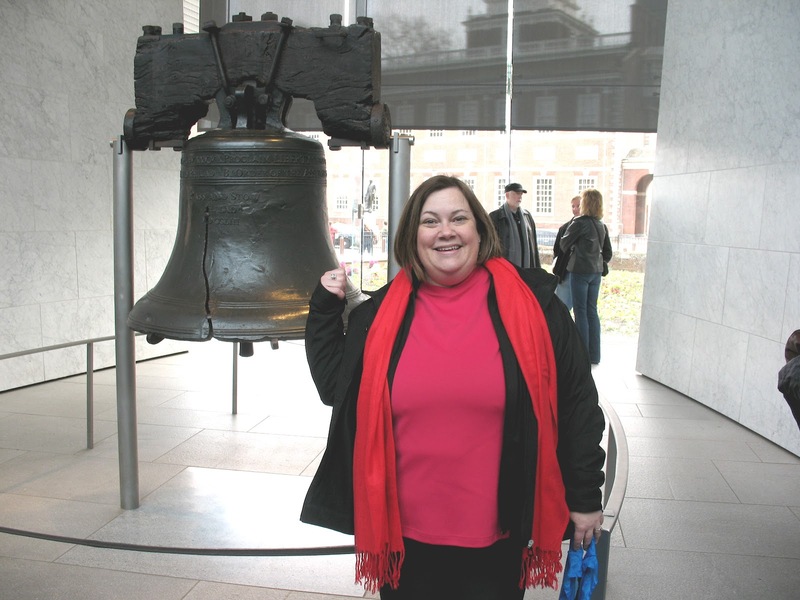 This entry was posted in body love, heavy, independence, liberty bell, metal, philadelphia, ring, stuff that weighs more than me on March 15, 2012 by fatchicksings.